Cushnie Et Ochs "Dominique" neoprene top with mesh yoke. Cutout at front and back. 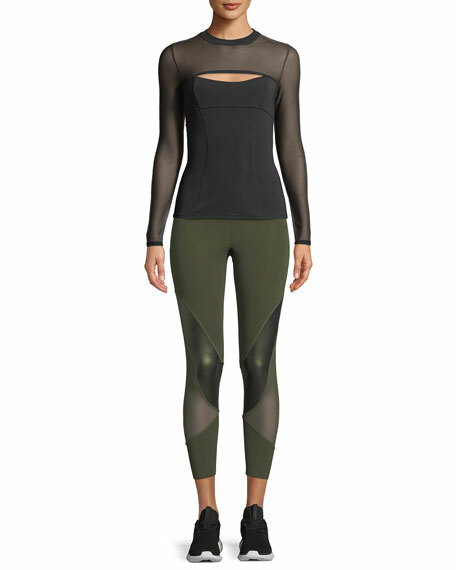 Cushnie Et Ochs "Amelie" leggings with mesh panels. Carly Cushnie and Michelle Ochs launched CUSHNIE with the Spring 2009 collection. Global inspiration, coupled with a strong sense of the female form, has led to ever-evolving collections that are an intricate play of shape and technical craftsmanship.